Tiny House Living-Is it for you? quick access to a comfortable home with probably no mortgage payments. you can learn from your home-building mistakes if you decide to build a larger home. lower home ownership costs with the possibility of living off-grid. an environmentally-friendly design with little or no toxins. a simpler, less cluttered life with creative ideas to effectively use space. potential for better communication with family members as a result of close quarters. limited privacy, no place for solitude. limited living space; little room for entertaining guests and family. limited kitchen and storage space. more trips to the store-no buying in bulk, and usually driving further to stores. tiny houses may be on wheels or on a foundation, restrictions may exist as to where you may park or build. Have students search for online videos about tiny house living to obtain additional information on benefits and drawbacks. Have students design a tiny house that would fit their life situation. What personal factors should be considered when building a tiny house? Describe life situations of people who might be appropriate for tiny house living. Buying a home is a huge financial commitment. In this article, Deborah Kearns discusses the following six questions that can help you decide which is the right mortgage for you. Do I qualify for any special programs? How much can and should I put down? Any other insights on how to get the best mortgage rate? Each question provides detailed information to help you answer the question and find the right home mortgage financing needed to purchase the home of your dreams. Help students understand the importance of purchasing a home they can afford after all other home ownership costs–taxes, utilities, repairs, etc. are considered. Stress the necessity of “shopping” for a home mortgage and comparing both term of the mortgage and the effect of interest rates on total financing costs. What factors affect the cost of financing a home that you would like to purchase? How important is good credit when purchasing a home? Does it really make a difference if you have a good credit score or a bad credit score? Explain your answer. What steps can you take to make sure that you are getting the lowest interest rate when you finance your home? While more people are renting in recent years due to various economic and household situations, home ownership is still a financial goal for many. A financial comparison between renting and buying often overlooks various factors. An online calculator may be used to consider buying items such as the opportunity cost of investing your down payment (along with the taxes on capital gains), condo or home association fees, maintenance costs, and, of course, the tax benefits of property taxes and mortgage interest. On the rental side, the calculator considers initial costs (such as a security deposit and any broker’s fee) along with the opportunity costs of the initial costs and recurring costs, such as renter’s insurance. For additional information on calculating the renting vs. buying your home, click here. Have students ask people to describe factors that affected whether they own or rent their housing. 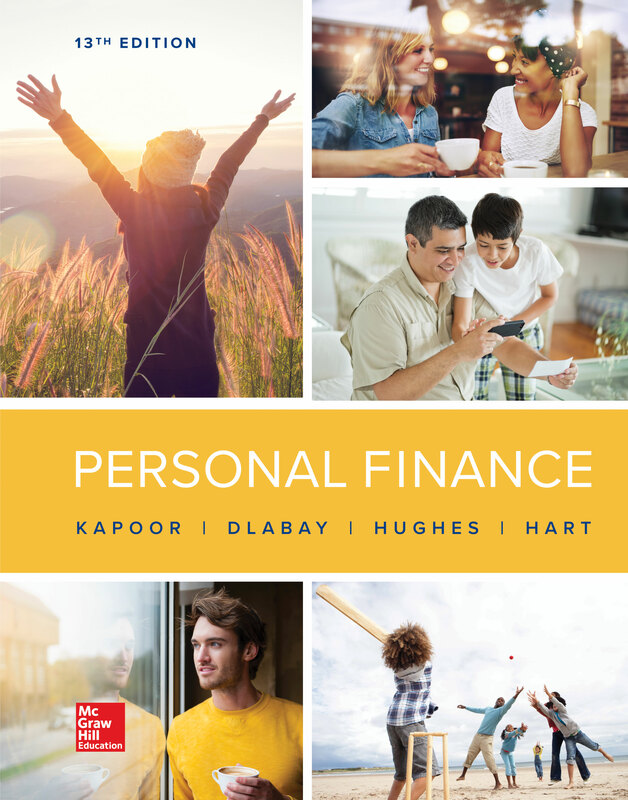 Have students conduct a personal financial analysis for renting and buying a place to live. What are benefits and drawbacks of renting and buying a place to live? Describe financial factors that might be overlooked when comparing renting and buying a place to live. Visit the website of the American Association of Retired Person (AARP) at aarp.org. Locate the AARP Home Equity Information Center, which presents facts about reverse mortgages. Then prepare a report on how reverse mortgages work. Ask students to visit Fannie Mae’s website at fanniemae.com/homebuyer to find out who is eligible for reverse mortgages, and what other choices are available to borrowers. Why should you consult a qualified professional before you decide to get a reverse mortgage? Where can you find Housing and Urban Development-approved Home Equity Conversion Mortgage counseling agencies near you? While technically not the usual article you expect to read on the Kapoor Money Minute blog, the information about this Bankrate mortgage calculator can help you determine how much your monthly home mortgage payment will be. To use the calculator, you simply input the requested financial information in the boxes provided and the calculator will determine your monthly mortgage payment. You can also access an amortization table that shows how much of each payment is for interest and how is used to reduce the unpaid balance on your home mortgage. In addition to this calculator, the Bankrate.com site provides additional calculators and information on many personal financial topics. Take a look and be surprised at the amount of useful information available on this site. Use the calculator to help students determine how much house they can afford. Discuss other expenses that could increase the cost of home ownership. Take a look at the information that you must enter in order to use the mortgage calculator described in this article. How do the amount of the mortgage, interest rate, and term of loan impact the monthly payment for your home mortgage? In addition to your monthly home mortgage payment, what other costs can you expect when you buy a home? Buying a home is a “big” financial decision. Are there additional factors besides mortgage payment and other home ownership expenses that you should consider before making a decision to buy a home? For many people, a logical step after completing college is often purchasing a home and inching closer to the American dream. And yet, there are pitfalls to obtaining a home that can lead to financial stress and the inability to reach important short-term and long-term financial goals. This article describes how one couple took all the right steps to prepare for a home purchase, but eventually decided to purchase a home that cost more than they planned to spend on housing. The reason was simple: They fell in love with a home that was too expensive when compared to their total income. The article continues to describe what happens next in their attempt to regain their financial health. Stress the necessity of preparing a realistic budget that reflects mortgage payments, insurance, taxes, repairs, etc when purchasing a home. Share the advantages and disadvantages of owning versus renting a home. Given your goals and lifestyle, how important is home ownership to you? What steps should you take to prepare for purchasing your dream home? Assume you have found your dream home and you can afford the payments, insurance, taxes, repairs, etc. What steps are necessary to negotiate the purchase and obtain financing? Nearly half of borrowers only consider one lender or broker before applying for a mortgage. Over three-fourths of borrowers only apply to one lender. Lenders and brokers were the most common mortgage information source; with real estate agent also used. Other source of information were websites, financial and housing counselors, friends, relatives and coworkers. Have students interview people who own homes to obtain information about the mortgage process they used. Have students prepare a data summary of mortgage rates for different lenders in their area. What actions can be taken to reduce mortgage costs? Describe factors that a person should consider when choosing among several mortgage lenders. In this article, Marine Cole points out some surprising facts about interest rates and the reasons why people don’t refinance their homes. According to Ms. Cole and other experts, some people are simply unaware of their current rate or don’t have the get-up-and gumption to refinance. Other factors include procrastination, mistrust, and the inability to understand complex decisions may also be barriers to refinancing. The article also points out that the decision to refinance could result in thousands of dollars in savings for the homeowner. For example, refinancing a 30-year, $200,000 mortgage from 6.5 percent to a current rate of 3.35 percent will save approximately $130,000 in interest payments over the life of the loan. Stress the importance of making sound financial decisions not only when buying or refinancing a home, but other aspects of your financial life. Discuss the reasons mentioned in this article that describe why people would not refinance and take advantage of lower interest rates for buying or refinancing a home. How important is comparing interest rates when either purchasing a home or refinancing an existing home mortgage? According to this article, there are many reasons why people don’t refinance their home. If you were refinancing a home mortgage, what would be your major obstacle to refinancing an existing home mortgage? How could you overcome this obstacle? Assuming you had a chance to refinance your home and save $100,000 over the life of the loan, would you refinance? Explain the factors that would influence your decision.